Dr. Andrew Jackson O’Shaughnessy, noted British author and historian, will present a lecture in Edgefield on Wednesday evening, June 29, at 6 p.m., at The Joanne T. Rainsford Discovery Center. 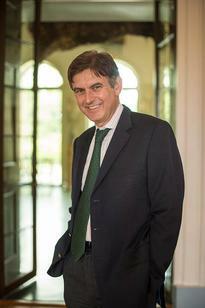 He is a Professor of History at The University of Virginia and Director of the International Center for Jefferson Studies at Monticello. 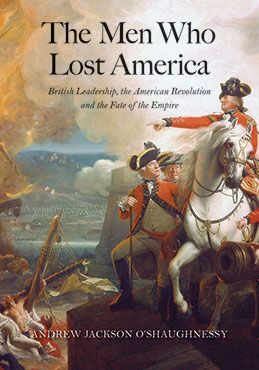 His talk will be based on his book: The Men Who Lost America; British Leadership, The American Revolution and the Fate of the Empire, for which he received the prestigious George Washington Book Prize. His visit to the Palmetto State is sponsored by a grant from the South Carolina Humanities, a not-for-profit organization, whose mission is to enhance the cultural and intellectual lives of our citizens. Dr. O’Shaughnessy’s visit to South Carolina is part of Liberty Week, celebrated from June 25 – July 2, during which time South Carolina’s significant role in the American Revolution will be highlighted. More battles and skirmishes were fought during the Revolution on Palmetto State soil than in any of the other 13 colonies. The South Carolina Historical Society will hold a number of events around the state during that time. Liberty Week will kick off on Saturday, June 25, at Middleton Place, from 10 a.m. until 4 p.m., with a celebration of the Patriot’s victory at the Battle of Sullivan’s Island. Admission is free and open to the public. During his time in our state, Dr. O’Shaughnessy will visit and lecture in two communities, Edgefield and Camden. He has written extensively and has received a number of national awards for his books. After his talk, Dr. O’Shaughnessy will be available during a reception to answer questions or have discussions with guests. He will not bring books with him, but if you purchase one through another source, he of course would sign individual copies. The South Carolina Historical Society, founded in 1855, is the state’s oldest Historical Society and one of the largest private manuscript archives. Since its inception, the Society has been the guardian of South Carolina’s written past. Please help welcome Dr. O’Shaughnessy on June 29 and bring interested guests to The Discovery Center, Edgefield, at 6 p.m. For more information, call 803-637-3975 or 803-637-3833.